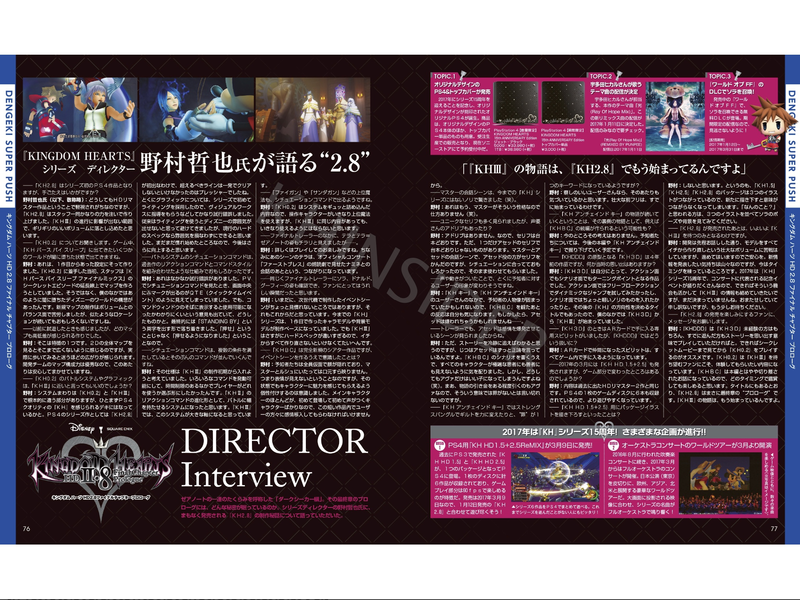 News ► Kingdom Hearts 2.8 is featured in Dengeki PlayStation #629! 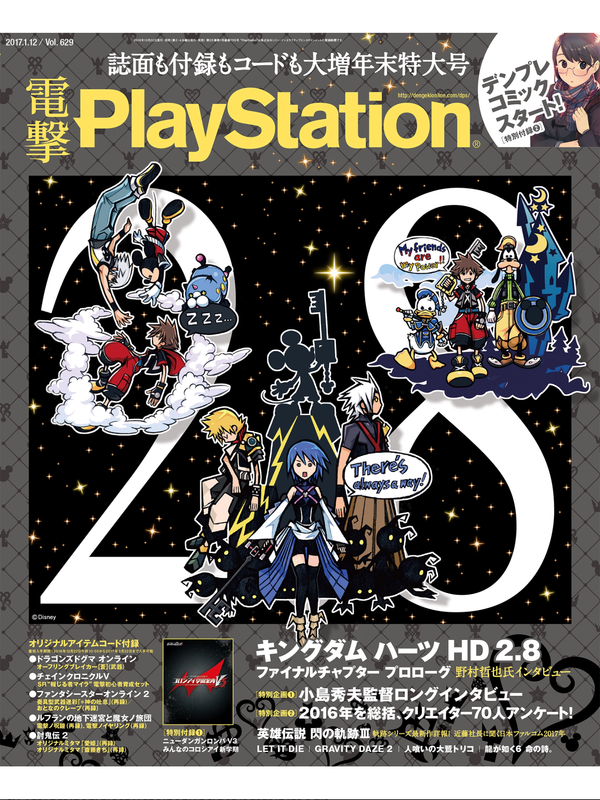 Kingdom Hearts HD 2.8 Final Chapter Prologue is the featured game in issue 629 of Dengeki PlayStation! Translations are below the scans, thanks to Saken! I want that art of the BBS trio as a avatar now. Can't wait for the translations. The continuous lack of Skuld makes me a sad fudge. Pretty funny how the Foretellers are almost lined up like organ pipes, lol. They also placed the mysterious guys (MoM and Luxu) and the cutie-cinnamon rolls (Chirithy and Ephemer) more or less together *ggg*. I also still can't get over NGE-PenPen the bathing penguin as a Dream Eater. I'm really interested about the Chirithy. With all the scenes and shots we see, I hope it'll explain more about them and their origin. Adorable art up top with those three sketches. And another shot of Ephemer! Still lacking Skuld, but maybe it'll just be a surprise for the movie, I suppose. I replaced all the scans in the OP with ones from my iPad. They're larger and should provide better resources if you wanted to cut out an image such as the art on the first page of Dengeki. By the way: Hello drop-gauge my gorgeous friend. <3 I haven't noticed you in a while but now I did. Exactly how I feel. Her being left out of Back Cover, if that is what's happening, makes absolutely no sense to me. Shouldn't one of the Foretellers see her with Ephemer? Even if it's just a passing glance? And then there's the scene between her and Ava and Player, her being a part of Ava's speech to the crowd, the scenes between her and Gula, the fact that she was the leaders of the Dandelions in the real Daybreak Town (while Ephemer was the leader of them in the Unchained realm) after Ava left, etc. 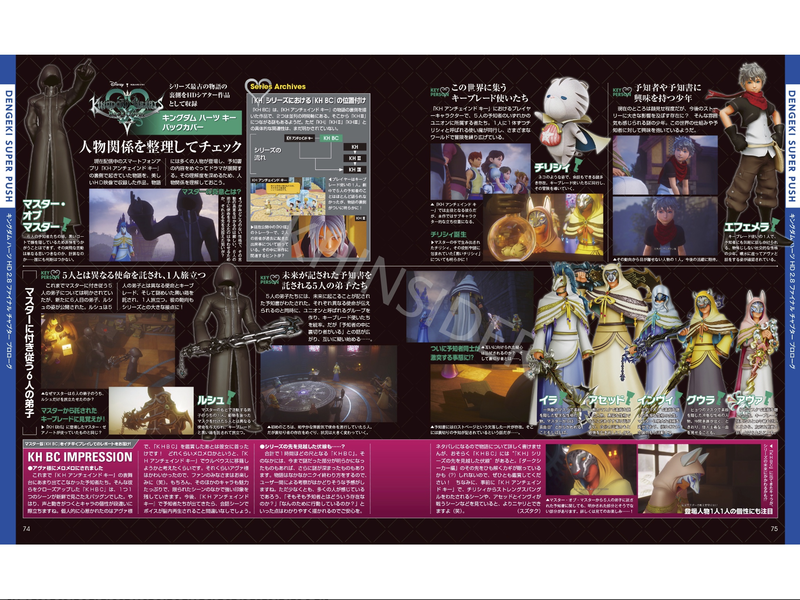 If she's not in Back Cover, I'm really praying she's at least in KHIII. But seriously, Square. What are you doing? Why would you cut Skuld out (unless there's some weird plot twist reason as to why). Don't you know how well-received she was, and that we want to see our brown-eyed, long-haired, non-Kairi clone girl in beautiful HD graphics? Gah! Maybe they're trying to spoil her yet, we only seen Ephemera in one trailer and we haven't gotten another scene of him since the E3 trailer, months ago. Nothing about the short end of the stick, maybe she doesn't play a role in the movie? Rendering her long hair was too much,explains why she's been missing. I also think if she's gonna make it in they'll try not to spoil her too early, maybe? That's why I also said she won't play a role in the movie. She's still in Unchained X and She and Ephemera appeared at the end of X. In other words, whether or not she appears in the movie, she still might play a role in KHIII at some point. All i wanted was a render of her..is that to much too ask. 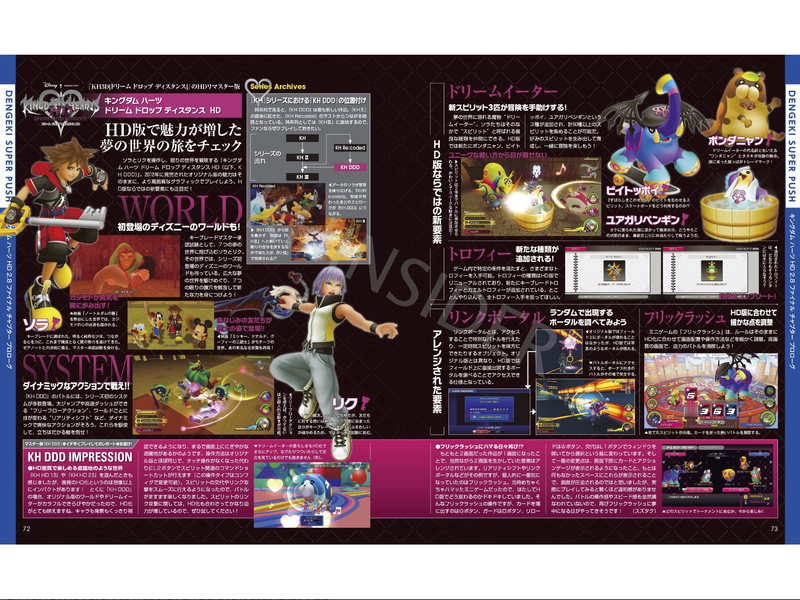 it is pretty suspicious that the game is coming put on under a month and we still haven't seen even a render of Skuld. Don't know if they don't to spoil her, but she's been in jpux for around 6 months so I don't think she would really count as a spoiler, unless she's involved in some heavy endgame stuff in BC or whatever. Still holding on hope that she pops up, but I'm def suspicious of what's going on until release day. I'm starting to adjust to the thought that maybe she won't even be around at all. 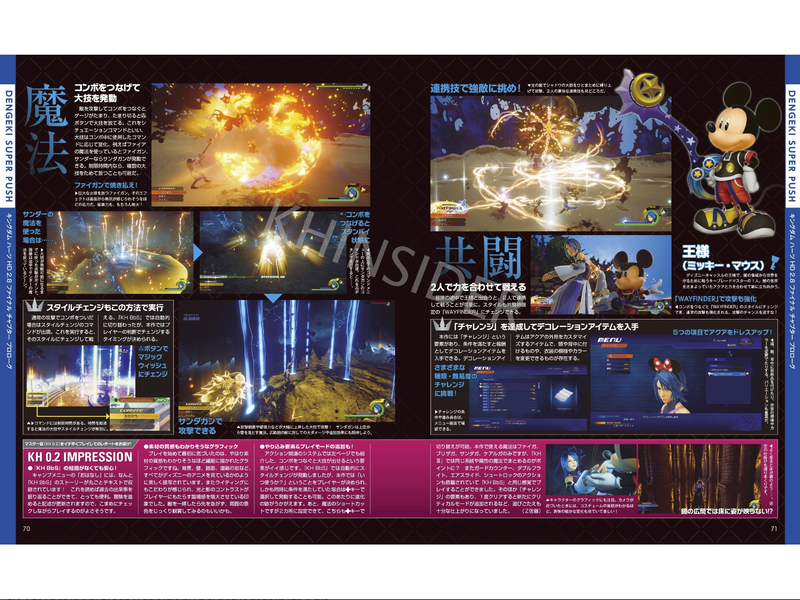 I spy with my little eye, a smol KH3 screenshot. Neat. Don't think I've ever been so happy to see Mickey and Aqua fighting together on the Destiny Islands. 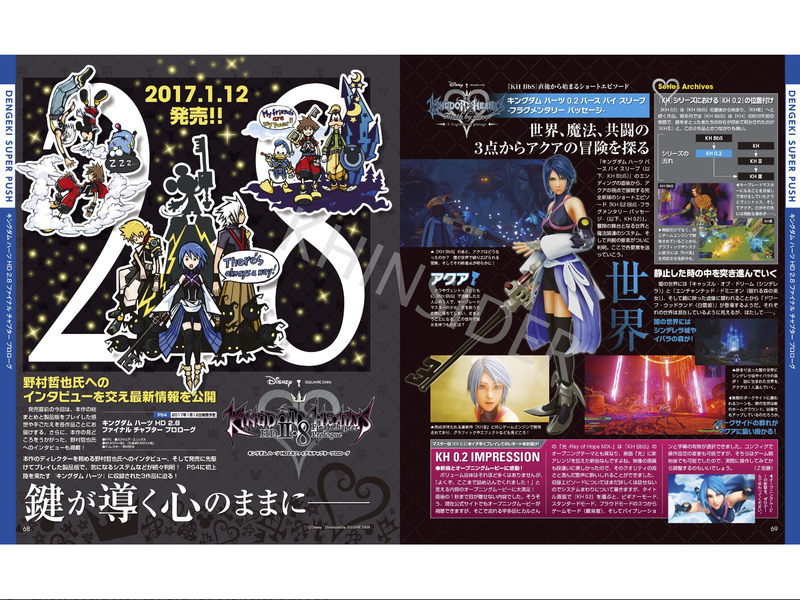 That said, I'm going to take a gander and guess that Destiny Islands is probably the final world in the RoD that Aqua goes to.